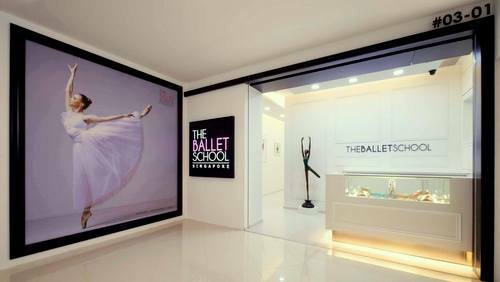 The Ballet School Singapore has six locations island-wide, one of which is within Djitsun Mall (5 Ang Mo Kio Central 2). The Ballet School Singapore (TBS) offers premium classical ballet training programme to girls and boys of all ages at all levels. They use the Royal Academy of Dance (UK) training system to develop students’ dance technique, stamina, creativity, expression and musicality. TBS is an internationally recognised Approved Examination Centre by the Royal Academy of Dance from United Kingdom to conduct annual examinations and dance workshops. All of the above has made The Ballet School Singapore the leading local pre-professional ballet school, ultimately producing Singapore’s top dancers. The school’s approach to bringing about dance excellence is through interactive learning in a supportive and nurturing environment, where encouragement of sharing skills and knowledge adds on to an exciting learning journey for all of the students. Official The Ballet School Facebook page is available at www.facebook.com/TheBalletSchoolSG/. You can also follow their official Instagram account, which in turn is located at www.instagram.com/TheBalletSchoolSG/.